"Give a woman the right piece of jewellery and she can conquer the world "
I completely agree with this quote , don't you? Jewellery is something which can add great fashion statement to the whole look and it is very important to wear right piece of jewellery unlike cloths, shoe and other accessories. Sometimes people wear extravagant cloths, carry expensive accessories and jewellery to look fashionable but they never know, carrying loads of things can make them look disaster. Sometimes minimal things brings the royal feeling. Jewellery is a thing, if you will not match or choose properly ,then your look might go in some other way. 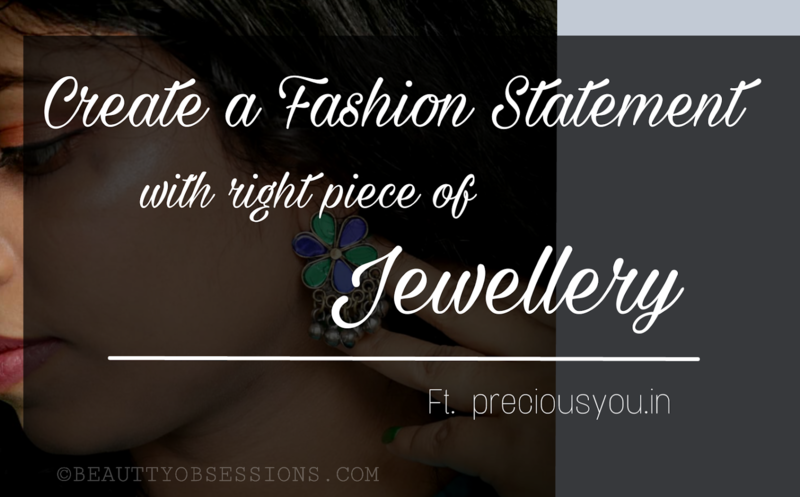 In fashion, jewellery has an important role and no-one can ignore that. Woman and jewellery has very close relationship. A right piece of jewellery can reflect your personality in front of others. These days so many varieties of jewellery available which you can wear according to your mood and requirement. Now-a-days Afgani jhumkas are very popular because of the unique design and multipurpose use. Afgani jhumkas can go perfectly with both western and ethnic wears. There are also other designs like Turkmani ,Uzbeki, Kundan, Nepali, Kazaki, Minakari, etc. designs present to make you look more appealing and fashionable. If you will ask me about my taste in jewellery ,then it is very simple. I love to wear sober yet elegant statement pieces which don't mess my look but also add a nice style statement . I love long and rich looking earring a lot. In necklace my choice varies time to time. Sometimes I love to wear simple pendent sets and sometimes heavy junk pieces, it is completely depends upon the occasion or need. Honestly I feel my personality always reflects through my jewellery. 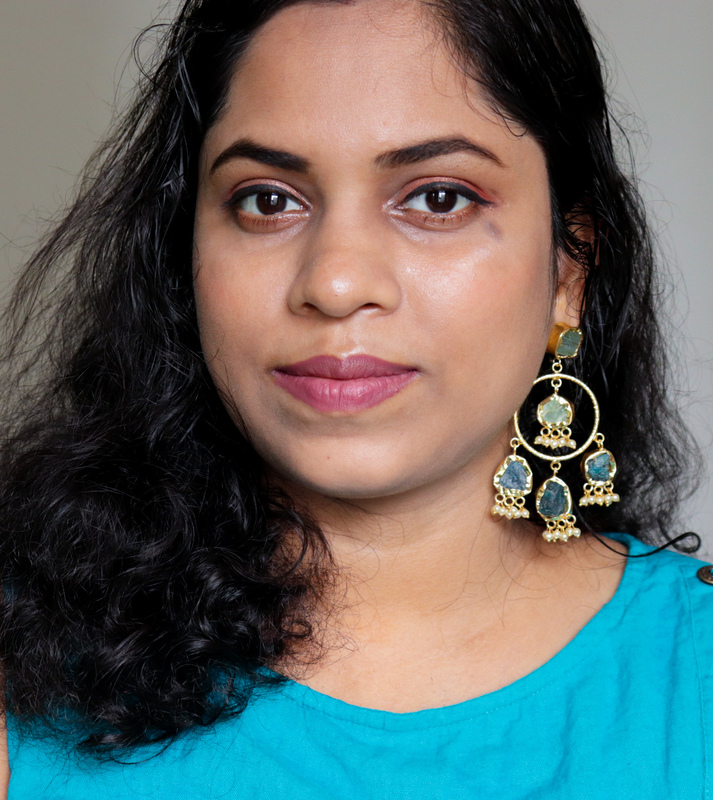 Recently I have hauled three amazing piece of earrings from a online site named preciousyou.in . Trust me they have huge rage of all kind of jewellery. I am completely awestruck by seeing their collection. The price is slightly in the higher side but the quality of the pieces make those worth buy. I got two ethnic jewellery (which can also carry with western looks) and one afgani jhumka . The design, the material and the quality, everything is over the top. If you are looking for precious ,elegant jewellery pieces, then preciousyou is the only destination. Hope you found this post helpful. See you in the next one, till then take care . I have few earrings from Precious You and I absolutely adore them. How unique is the design. Every pair suits you well. These are some excellent designs with beautiful colours. 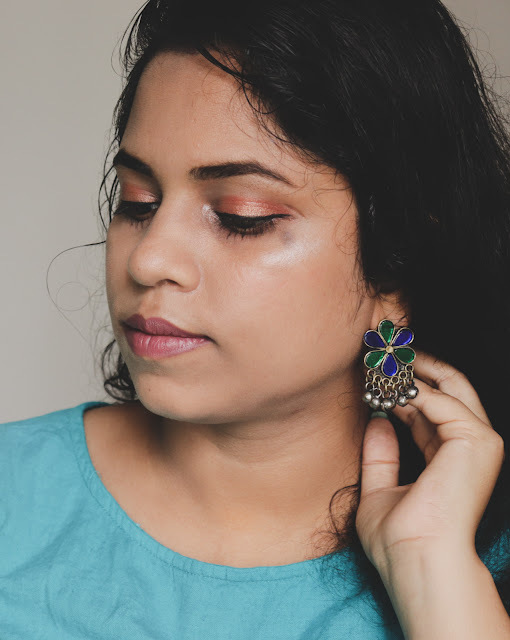 This festive season, I am going to try these jewelry pieces for sure. I loved the jewellery you are flaunting here. 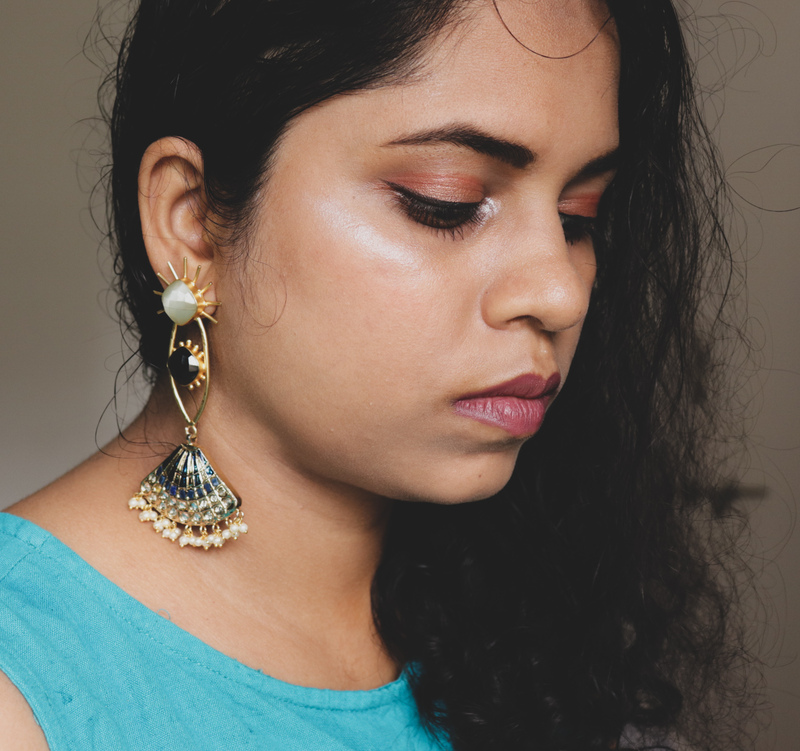 I love wearing it more so when Im in ethnic attire and I was looking for some good earrings and danglers for my Diwali look. Thanks for sharing. Earrings are great fashion statement. They add so much elegance to your attitude. I loved to change my earrings everyday when in college. I saw your post on IG also loved the pieces. They look quite unique and will go well on all types of outfits. I do agree with the Quote. Very well described post and even I love to wear Afgani Jhumkas. Keeping posting such amazing content. I also agree with the quote above. Beautiful earrings. My favourite is the first pair. Simple and elegant. The 2nd pair of earrings are my favourite! How simple yet extremely gorgeous they look! The stones are pretty and royal! Will check out precious you! Accessories are a crucial part of any look and earrings are my weakness. Loved all of them. Will check our more from this brand. Precious you. In have a huge collection of jewelry for almost every occasion and the best thing about their peices is its very light weight and very fine in quality. Such vibrant and beautiful jewelry at the time of festivities, who want anything more? Love the collection and I am sure these will rock during Navratri get up.